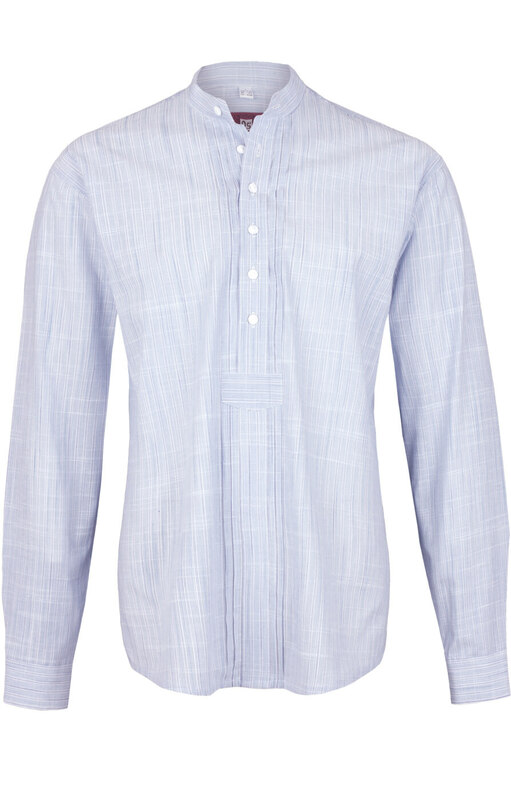 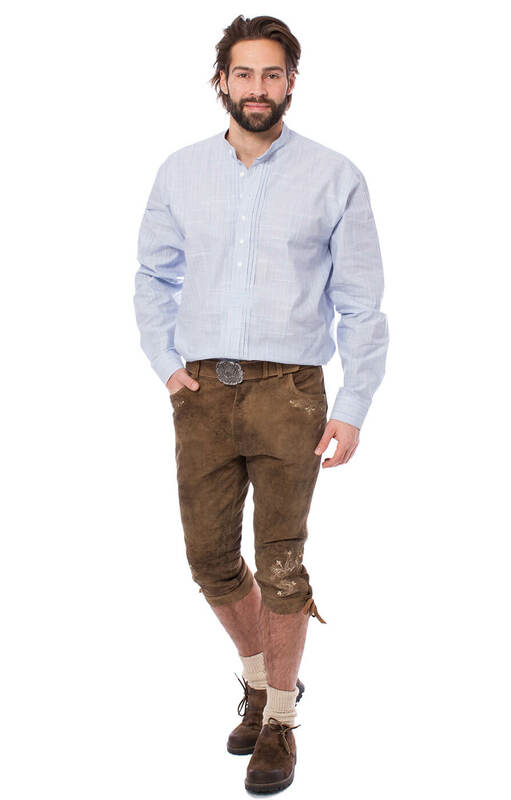 Rustic German traditional shirt in blue. 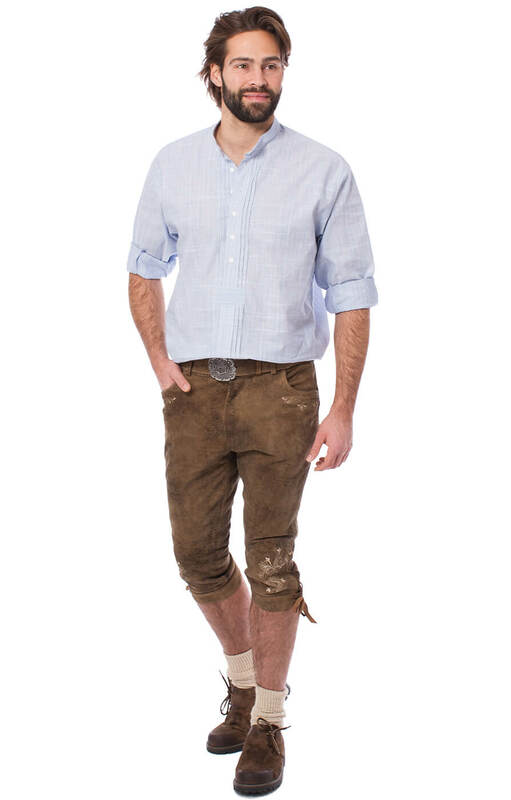 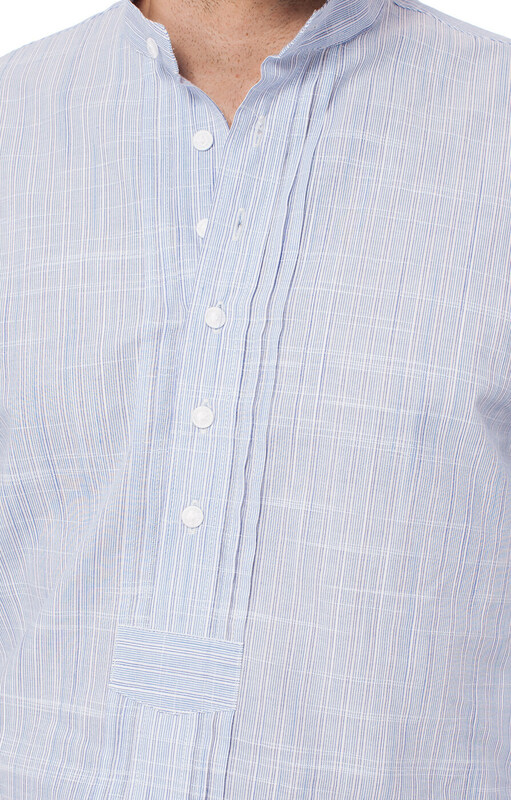 Made entirely of cotton with gently contrasting vertical stripes and horizontal white slubs, this traditional German shirt is a must-have wardrobe piece for Oktoberfest. 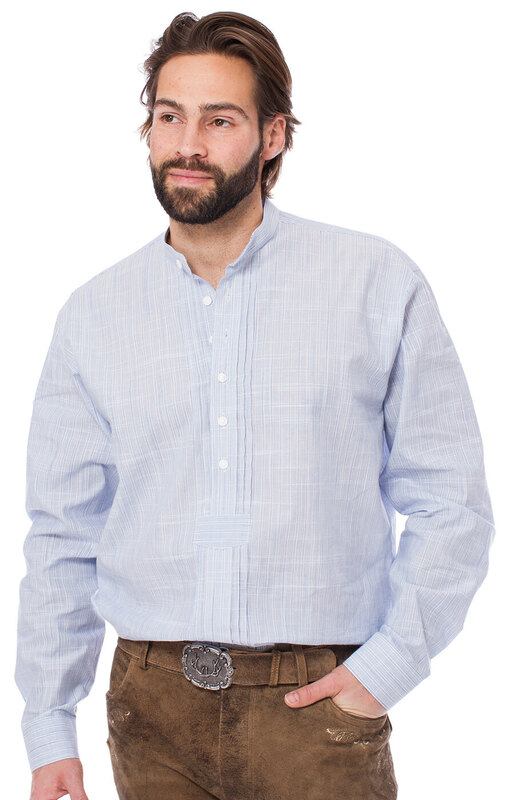 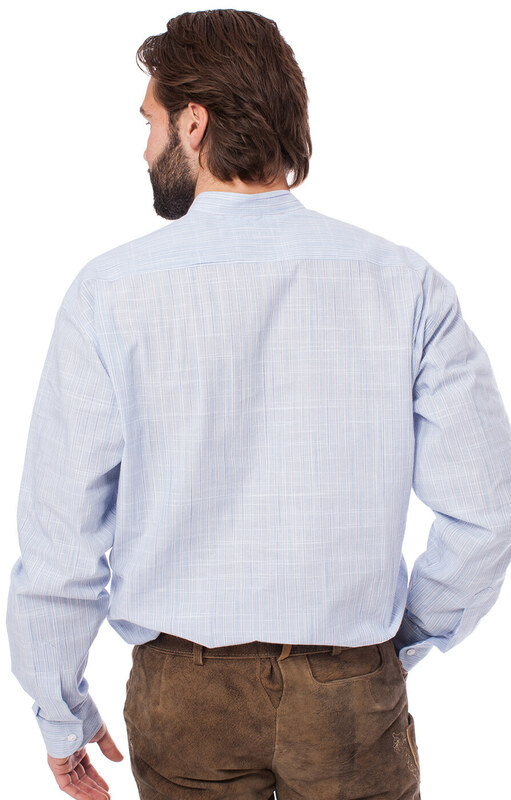 It features a 6-button front placket that extends three quarters of the way down and is flanked by decorative frills, a single-button sleeve placket and a short stand-up collar for a look that’s true to Trachten style.